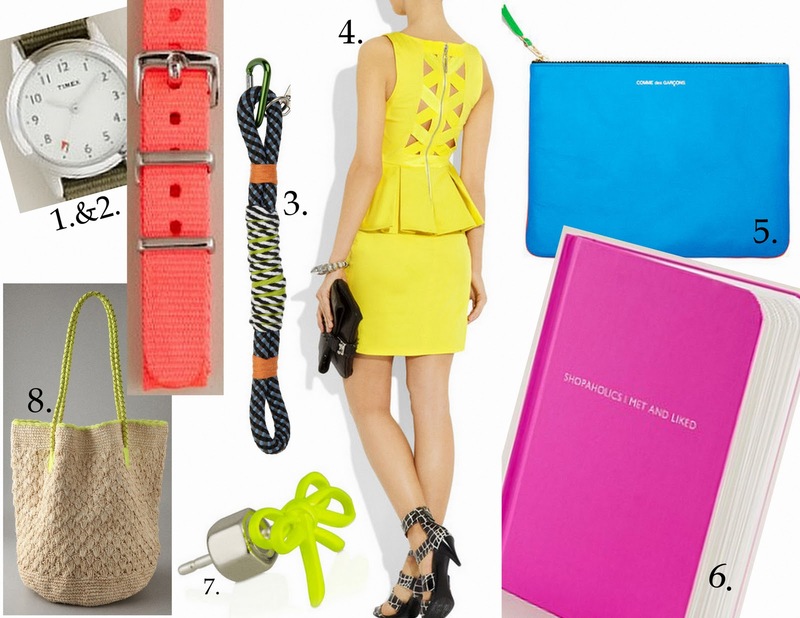 I love the idea of adding a neon watch to my wardrobe for the spring. I also love that notebook and what a great price and the pouch! I love that raffia tote. Perfect summer bag. awesome picks. I heart the blue pouch! why do i immediately go to #3 taylor? wth is wrong with me?? #7 is also calling...dear #7 please come to my house. I dont need that notebook but I want it! I'm all about adding a shot of color to my wardrobe for spring! Love the Alice + Olivia dress -- though I may be a little biased because of the name -- and those Marc by Marc Jacobs earrings! I am loving that neon is back this season. Cannot wait to incorporate into my wardrobe! Happy to have found another Chicago blogger! I have that little pink notebook, my friend Summer gave it to me for my Birthday last year and I love it! Great to write ideas for the blog or outfits! cute, cute, cute!! loving all the color!! And you know I love the notebook, obvi! Love the POP of color. That blue pouch is fab! I saw someone else posting about the pouch bags today. American Apparel has one for $45 similar to the Comme des Garcons one.